…and a swimming pool that needs to be prepped for the coming cold months. Clean and cover the swimming pool. Deflate and store the toys and rafts. Forget all about the pool as you go on skiing trips and relax by the fireplace. Prep the pool come summer and cross your fingers all those inflatables will go from shed to water without problems. Instead discover cracks and holes you can’t repair. Curse because now it’s peak season and all the pool accessories you’ll need to buy are incredibly expensive this time of year. There is a much better way—one that allows you to spend hard-earned income on burgers and brews instead of repair kits and new pool accessories. If you want to get straight to the “how to,” scroll to the end of this post. If you’d like a little background first, read the next few paragraphs as well. Constant exposure to chlorine, chemicals, lotions, oils and the sun’s UV rays slowly break down the vinyl in inflatable boats and toys. As a result, they stick to each other, become brittle and, often, impossible to use after a season of storage. When unpacking these items for another summer’s use, the seams get damaged, causing holes that are difficult (if not impossible) to patch. Vinyl is very sensitive to UV rays and degrades when exposed to sunlight. Even the exposed top foot of your swimming pool liner can become brittle and cracked after frequent exposure to the sun. 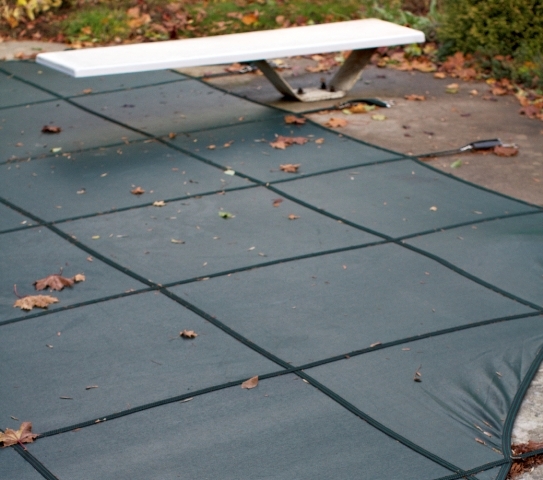 Anyone who’s discovered this first-hand knows how time-consuming and costly replacing a vinyl pool liner can get. And then there’s the spa cover. It takes a bigger beating from the sun than any other vinyl cover—not even RV awnings, convertible tops or tonneau covers are exposed to UV rays all day, every day. 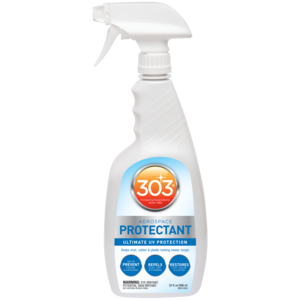 Just give your inflatable toys, rafts, boat, spa covers—pretty much any accessory made of vinyl—a coat of our protectant before storing and they’ll be pool-ready summer after summer. 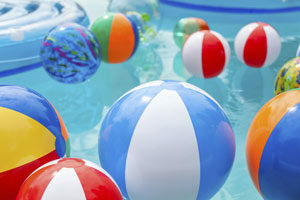 Not only will all those pool toys be ready, your spa cover will be sparkly clean and glossy, too.